Aaand just like that, I’ve made the transition into maternity clothing! 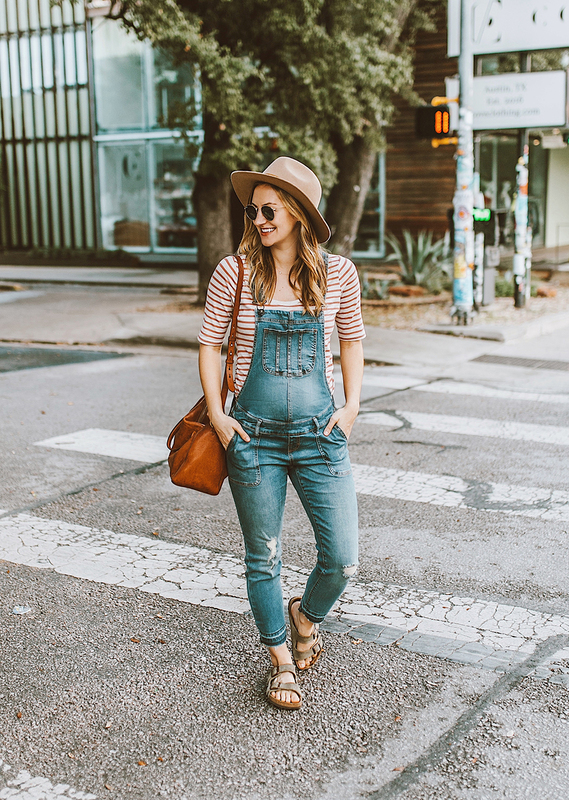 I’m still wearing a lot of non-maternity tops (as you’ve likely noticed on my IG), but when it comes to jeans and overalls, I need that maternity stretch and comfort, especially now that I’m well into my second trimester. 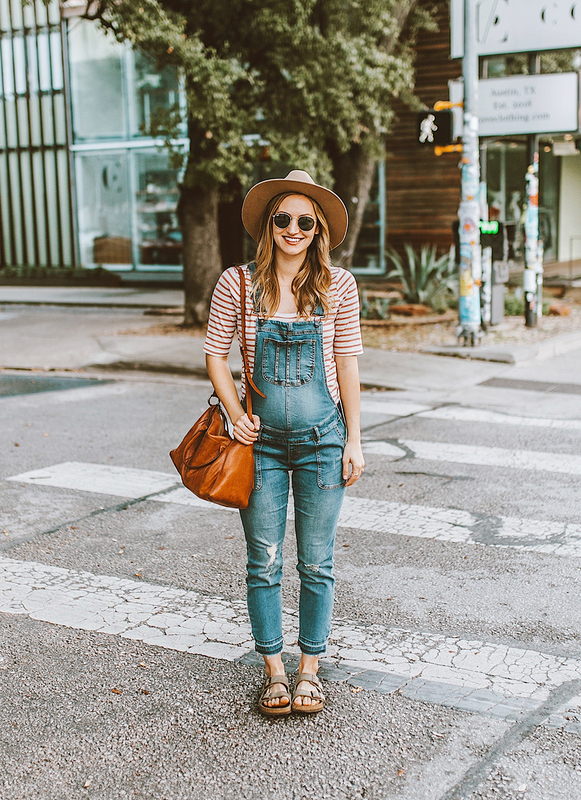 Not going to lie, at the moment nothing makes me happier than putting on an outfit that makes me feel reaaaally good (the struggle is real when you’re preggo) – and flattering maternity clothing (especially these overalls!) are making me smile real big and feel a lot more like myself lately! 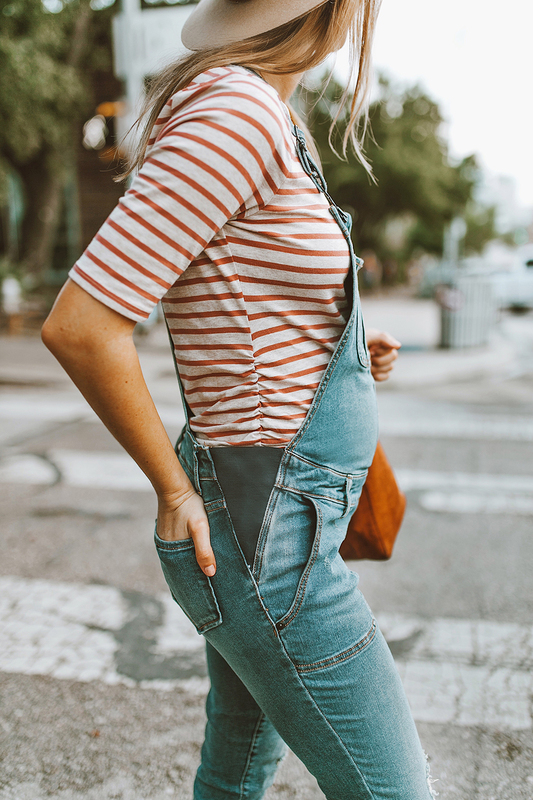 I’ve been doing lots of trial and error shopping when it comes to maternity stores that fit great and are also affordable, and hands down Motherhood Maternity is a TRIED & TRUE favorite (…deserving of all caps because maternity shopping can be a challenge!). It was my sisters favorite when she was pregnant, so she introduced me to the brand at the beginning of my pregnancy. 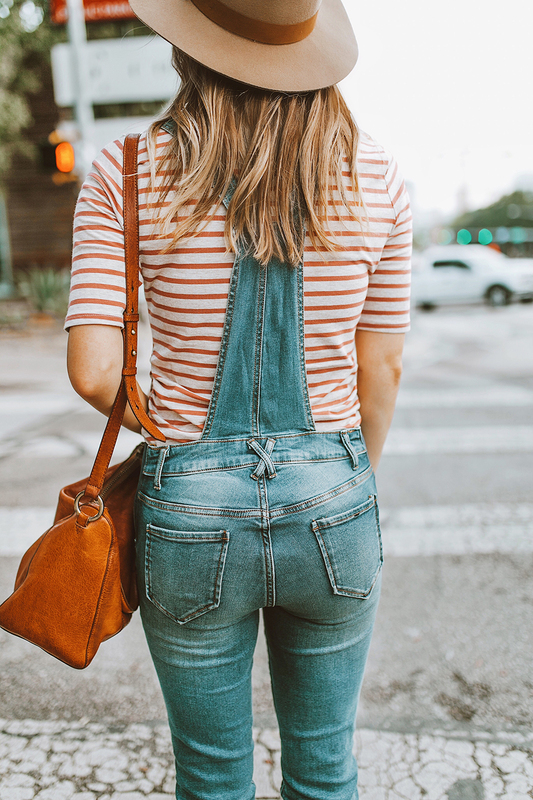 From jeans (I have been wearing these jeans a TON and LOVE them), to overalls (I also bought the black pair I loved them so much), to stretchy tops like the one I have on in this post – and loungewear to nursing bras, Motherhood Maternity has it ALL. PS. Motherhood Maternity is offering all LivvyLand readers 40% (!!) 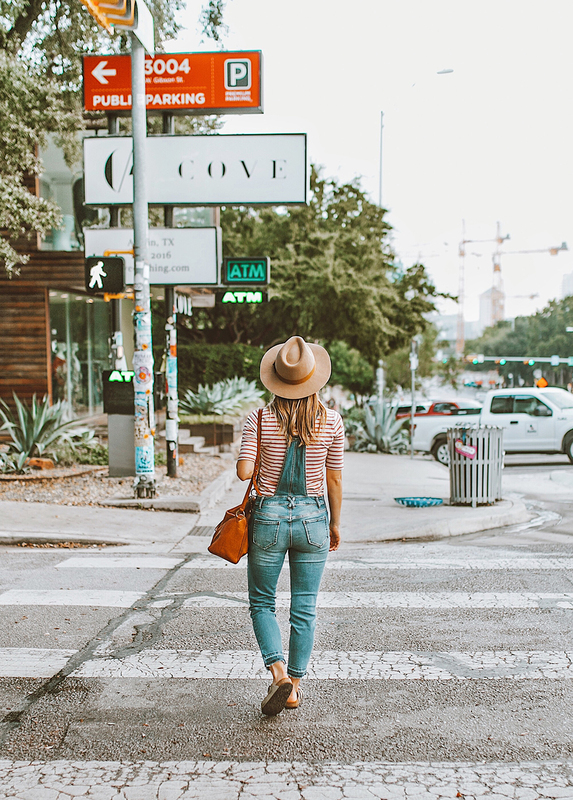 off one item of your choice (…y’all that’s AMAZING!). Use code Livvy40 at checkout to shop! Offer good until Oct. 25th. For size reference, I am wearing a small in the overalls and I also wear a small in these jeans (highly recommend!!) – I am 5’6 in height. My top is a small and comes in a ton of color options – I really love the length of the sleeves (I’ve gained some weight in my arms, so this coverage is wonderful!) and the stripes are adorable! Use code Livvy40 to take 40% off one regularly priced item over at Motherhood Maternity. To my fellow preggos – I hope you find something extra special that makes you feel amazing! 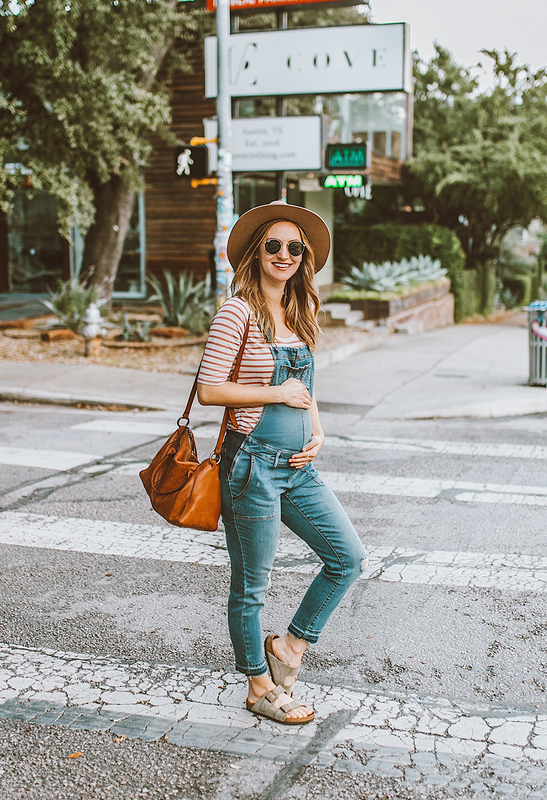 From cute denim, to everyday tops and loungewear you can wear throughout your pregnancy (I just got this PJ set and OMG it’s HEAVEN! I wear a small), Motherhood Maternity is the best!